Food Truck Friday is an event hosted at Roger Williams Park near the iconic Carousel. My wife and I first heard about the event from a friend who happens to work one of the Food Trucks that attend the event. Any place where food trucks congregate is a good place to be, so my wife, my friend, and I met up at the Food Truck Fest after work to gorge ourselves on as many trucks as we could handle. We only made it through 5 of the 9 or 10 trucks that were there that day. Head on over to Roger Williams Park on Fridays during the Summer between 4:30 and 8:00 pm for food, music, and beer. It gets pretty busy, but not so crowded that you can’t try your favorite foods! 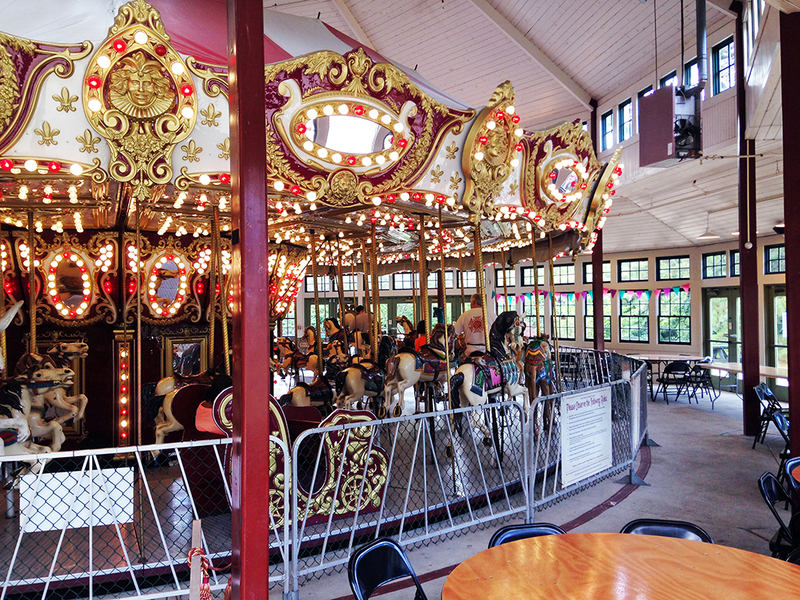 Carousel rides are only $2. As I mentioned, we didn’t get to try all of the food trucks that we wanted, but that just means we need to go back another Friday. Below are some of the trucks we did get to try after grabbing a beer from the beer tent supplied by Trinity Brewhouse and Foolproof Brewing. 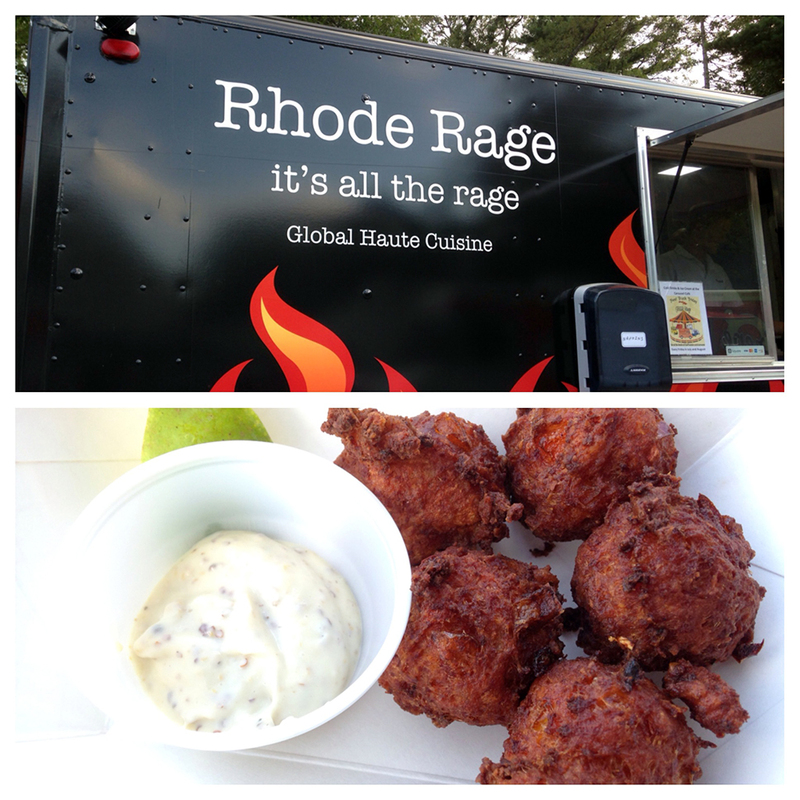 Rhode Rage – This truck was a new find for me and it delivered on some of the best flavors I had at Food Truck Friday. The Conch and Chorizo Fritters were absolutely fantastic with their spicy flavor and crispy texture. They also had plenty of conch and chorizo in them despite their seemingly small size. There is a lot going on in these little fritters. If they are any indication of the quality of the rest of the food at Rhode Rage, then this is a must try. 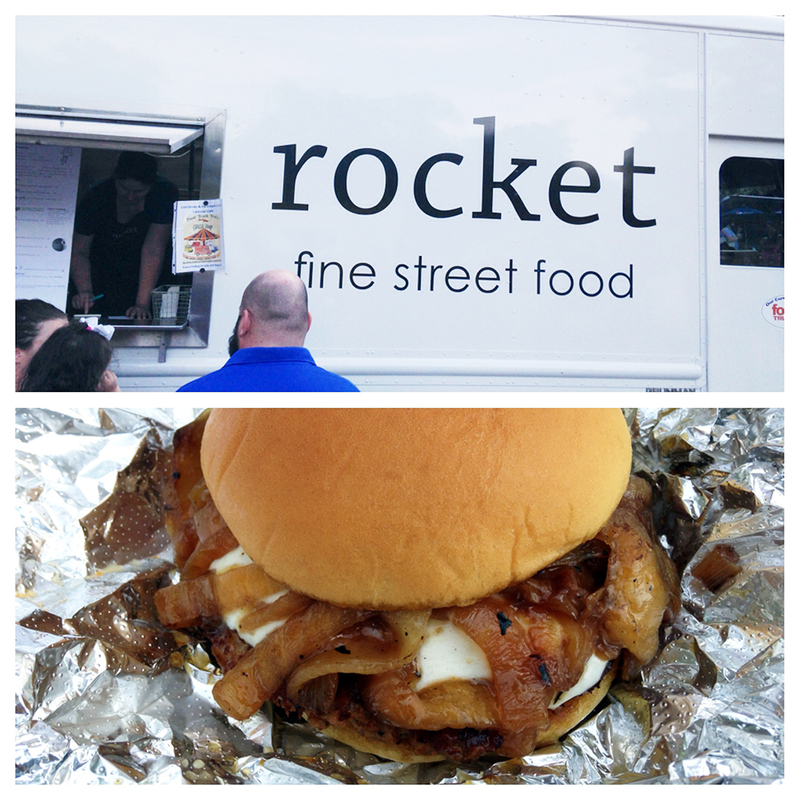 Rocket Fine Street Food – I’ve eaten at Rocket’s truck a few times and I always leave smiling and happy. The people in the truck are awesome and the food is always on point. The sausage sandwich comes with melt in your mouth caramelized onions, decadently rich melted mozzarella cheese, and a hefty Italian style sausage patty. The price point might seem a bit steep for this sandwich, but it is pretty filling. Read more about my first experience with Rocket here. 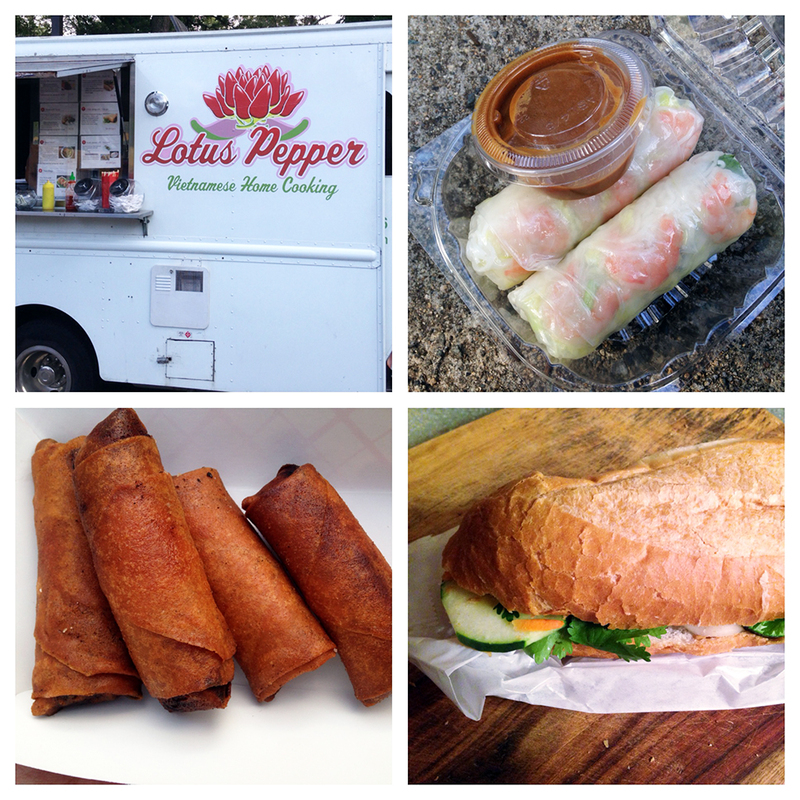 Lotus Pepper – The only Vietnamese food truck in town is still serving up delicious home cooked Vietnamese treats. The family owned and operated truck makes a lot of their food to order so it’s fresh for their customers. The summer rolls are perfectly wrapped and their spring rolls are perfectly fried. It doesn’t hurt that they are deliciously addictive. If you’ve never had a Banh Mi sandwich, you are missing out. Go to Lotus Pepper and try the BBQ Pork, the BBQ Tofu, or my personal favorite, the classic cold cut. Read more about Lotus Pepper here. 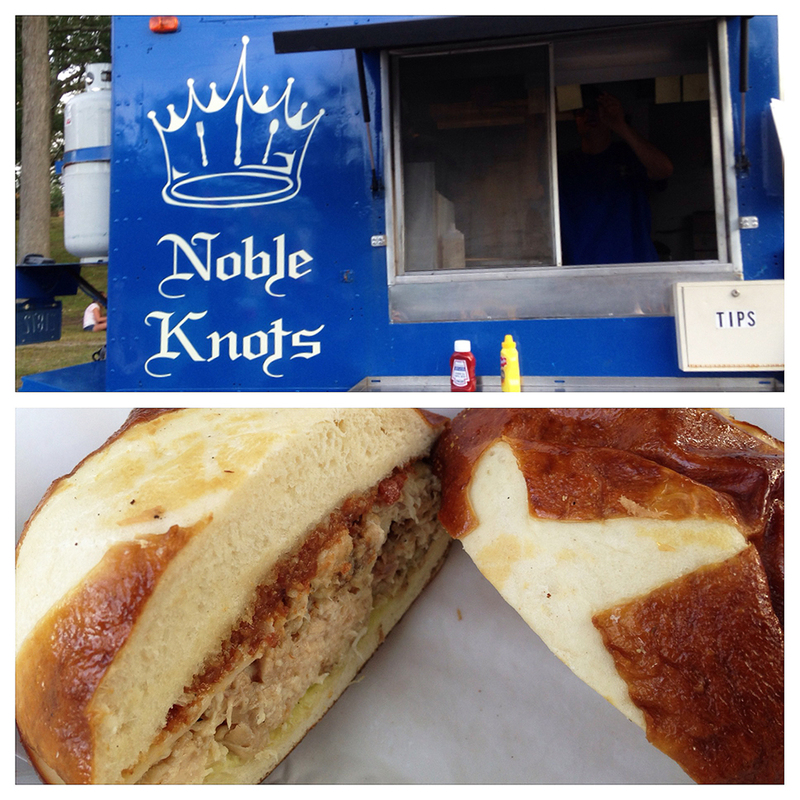 Noble Knots – My first experience with Noble Knots had me conflicted. My wife and I shared the chicken confit sandwich. She enjoyed it while I didn’t really care for it at all. The chicken itself was extremely fatty even for confit (which just means it was preserved and cooked in its own fat). The problem for me was that the chicken wasn’t cooked with any kind of crispiness on the outside and the toppings were all soft as well. The cheese, bacon jam, and avocado mousse on the chicken just made the whole sandwich one mushy mess. Some kind of crunchy acidic ingredient like quick pickled onions would go a long way to cutting the through the fat and breaking up the mushy texture. The bread, which is pretty much Noble Knots’ staple, is very good, but it is also very soft. My friend had the hot dog, which came served on one of their typical round buns. The flavors were good, but I just can’t really support serving a hot dog on a round bun. O’Crepe – Towards the end of the evening, the O’Crepe truck was completely slammed. The lines were long enough to cause the truck to have to stop taking orders close to the time of the end of the Food Truck Fest. Nonetheless, the crepes served by O’Crepe are excellent in a very different way. I’ve had many crepes and even many in Paris, but none of them were like the ones from O’Crepe. 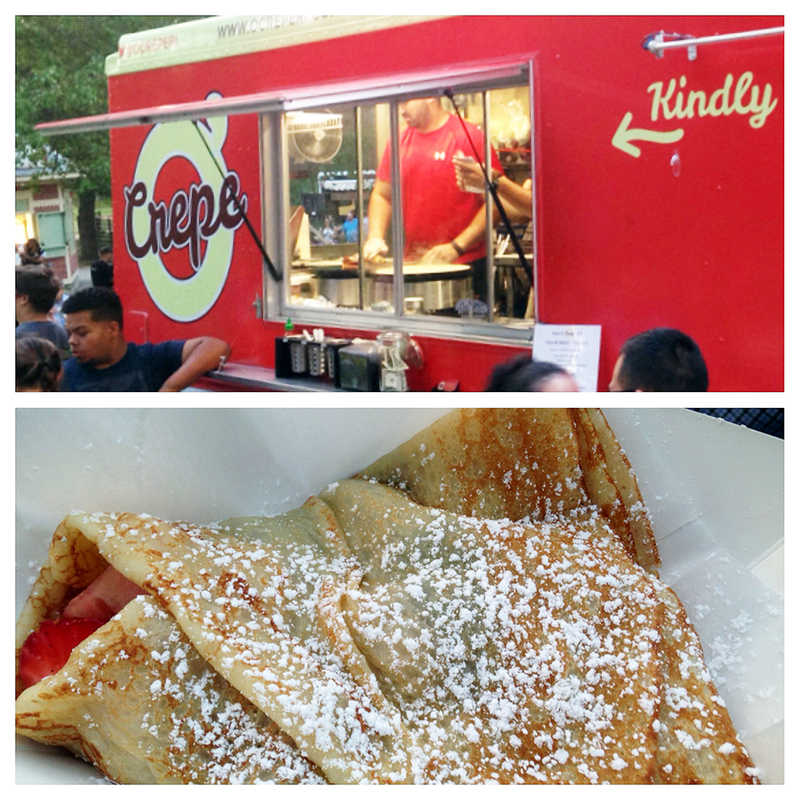 The difference was that the crepes from this truck are fluffy almost like pancakes, but very thin. If someone told me that these crepes had a great grandfather that was 100% pancake, I’d believe it. This is a nice bridge between the American pancake and the french crepe that would make anyone happy.